Guy van Rentergem is a Belgian national who has caved extensively on the island. Not only is he an excellent caver, he is personally responsible for some of the finest cave maps ever produced in Jamaica. His mapping work at Green Grotto, the most widely known example, is only one of many similar creations. For our crew, he has been an incredible addition. Guy is a caver's caver. 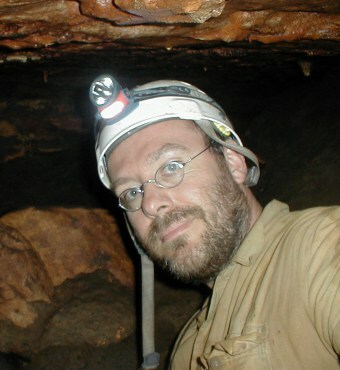 His abilities underground are astounding, and he is one of the finest cave-surveyors on the planet. We look forward to his greater involvement in 2005. Guy's main contributions to our collective efforts are in the fields of caving, mapping, geomorphology, and his ability to join us in drinking appropriate quantities of Red Stripe.